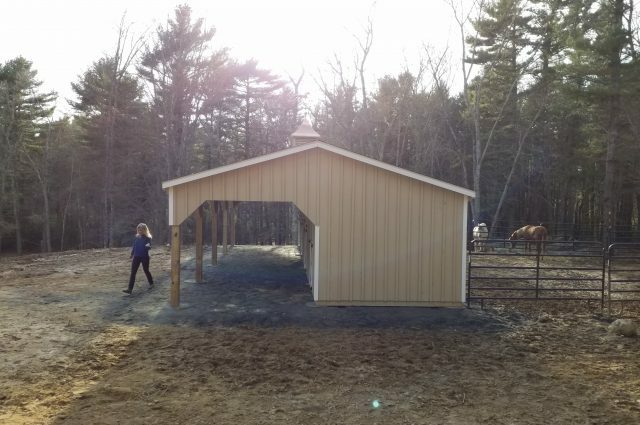 This 10′ x 38′ shed row barn, with a 10’ hinged lean to was erected in Plymptom, MA. 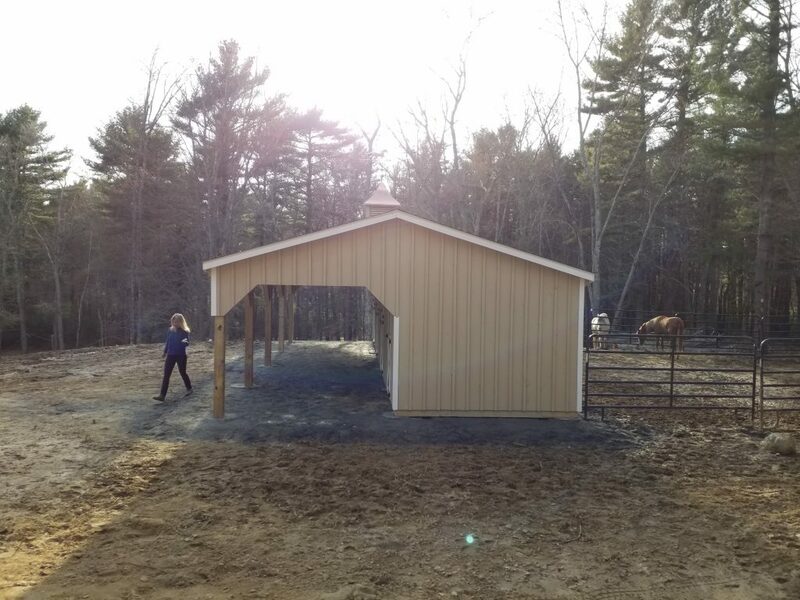 The barn was built with white pine board and battens siding and was painted tan with a white trim using Haley Paint. 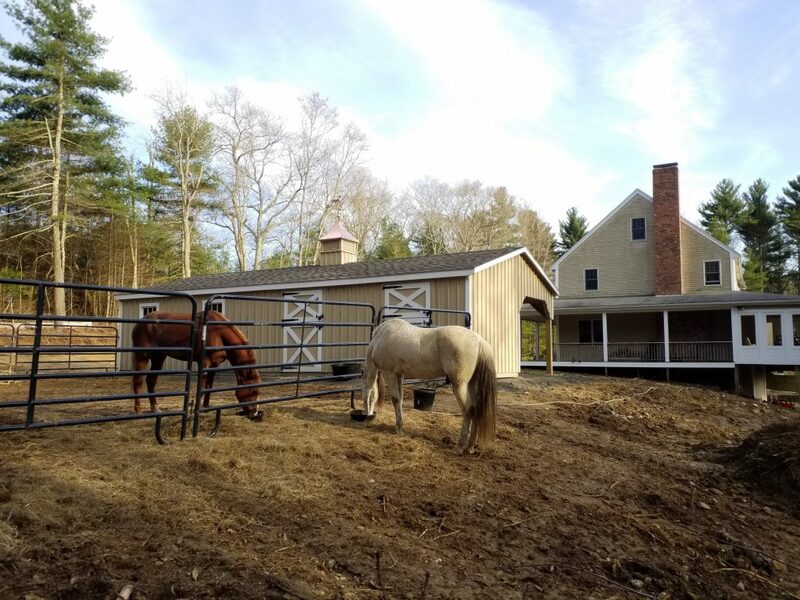 The roof is shingled with GAF weathered wood shingles and topped off with a cupola. The barn sports wood sash windows manufactured by Bird in Hand Windows. 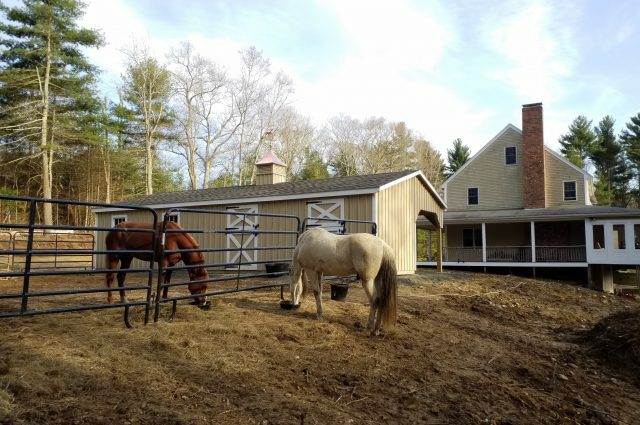 The dutch doors and service door were proudly made by Appalachian Woodcrafts. 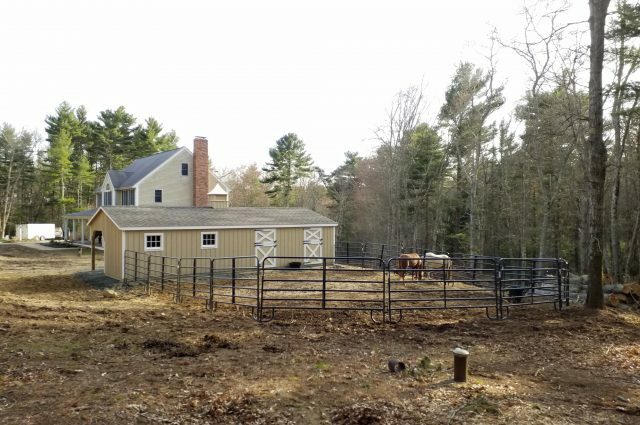 This attractive barn has (3) 10’ x 10’ stalls and (1) 10’ x 8’ tack room with floor. 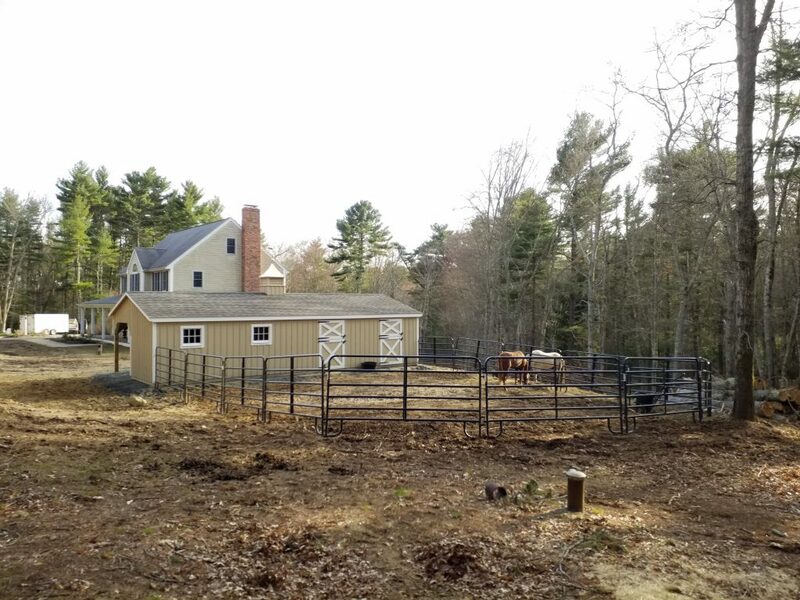 There are (2) added 4’ wide dutch doors on the rear elevation to provide access to fenced in pasture.